Now, I've decided to share you some of the occasion happening at home my dearest readers. 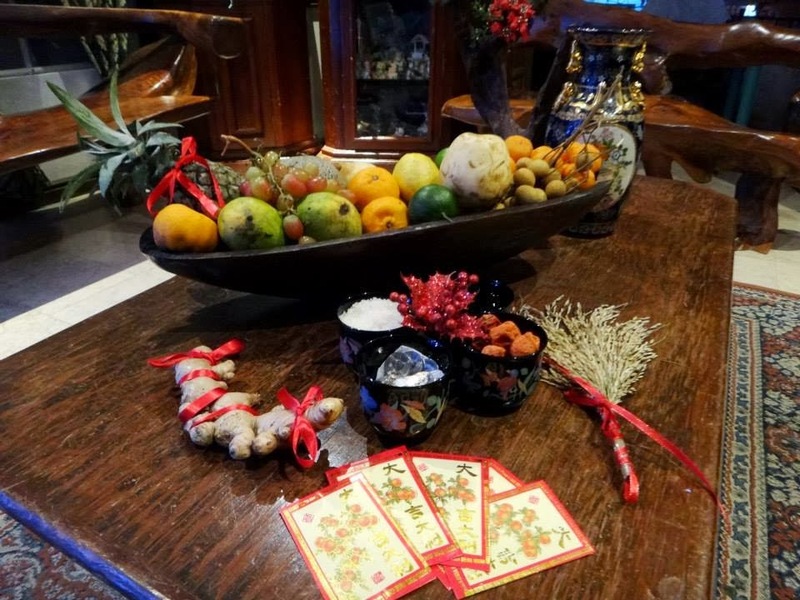 Every Chinese New Year / New Year, we always have 13 fruits. Not 12. Why? They said that if you have 12 fruits, it's equivalent to 12 fruitful years, but if 13, its more than beyond that. HA! :p Plus other lucky thingies. Plus another round of fruits. We always do potlucks on our occasion aside from the official handa. Penne with Sausage and Chili in Tomato and Basil - This was cooked by my sister and the block buster of the night. Creamy tomato base penne pasta, with slices of spicy Hungarian sausage! Grilled Chicken. They say that Chicken is Bad Luck for Chinese New Year, but I guess this is an exception to us! hahaha! My PMS buster! Mangga and Alamang! Here's my groovy 90 year old lola with my brother. Kuya Ian: "Lola, Japan Japan tayo"
Kuya Ian: "Lola, Japan Japan, hindi seventy-seven!" My Dad really likes wacky shot! haha!